Educating Gold Coast and Northern NSW kids about personal safety are Cassia and Erana. These two vibrant educators visit primary schools and childcare centres across the region, travelling from the beach, to the beautiful hinterland and across the border to Northern Rivers region, as far as Ballina and Lismore. The team says it is incredibly rewarding to see the impact the Ditto show has on children and adults alike. “A few weeks ago Cassia had a student disclose to her immediately following our show,” said Erana. 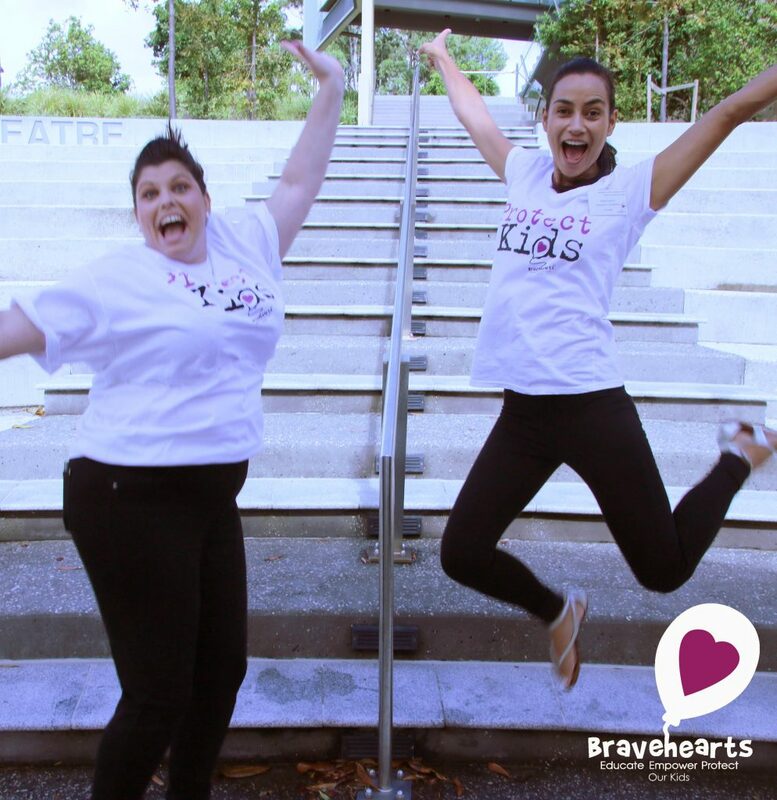 The team says they love what Bravehearts stands for and enjoy everything about what they do as educators in the child protection space. “The most enjoyable part of our role is seeing how much the kids adore Ditto and knowing that every time we perform a show, we could potentially change a child’s life for the better,” they said. Erana goes on to say that the most challenging part of the work is being aware of how prevalent child sexual assault is, especially being a mum herself. The team’s response? “Because he is a lion cub… Have you ever seen a Lion talk?”…… Although I’ve never seen a Lion wear purple overalls either? Thank you to the Thyne Reid Foundation for supporting our Gold Coast team’s work on the Gold Coast and the Northern Rivers. Thank you also to Byron Bay Rotary and Uechtritz Foundation, who fund the team’s annual trip to take the Ditto Show to Byron Bay and surrounding areas.